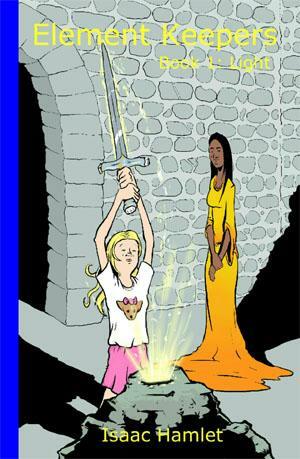 It begins...Lenzey Wright never dreamed that she'd ever have an encounter with a wizard, or that the same wizard would turn her friend into a mouse. She'd certainly never imagined that she and her friends had unheard of powers and that a man she'd never met or heard of, from a place that shouldn't exist, was trying to kill her. Thus, Lenzey and her three friends-- Ellean, Walter, and Zack-- are brought to Garibain. They are charged by the Warlock Zandar with a single task: Starting a war.